I am not Anna Wintour. Actually, I have been living here for short tim, probably my opinion does not count do much. Last year I went to see famous people leaving the MET, after the MET Ball. I was in the other side of the street, separated from famous by a fence. In that moment, I thought I would never criticize any dress after a stupid personal opinion. The famous women are so beautiful and skinny, like the models. I bet they were preparing during moths for this event. The dresses are flowing and do not compared to anything sold in Century 21, my shopping Meca. The smiles were white and large. Each movement we could see a flash. They did not walk, they floating. In this magic moment I felt silly for ridiculed a person who is happy, famous and well succeed. Most of us will never belong to this select group. My opinion is just my opinion, they will continue happy with or without it. I have been reading a lot of websites talking about the last Met Gala (or also called Met Ball). To be honest, I do not like to do review about looks, because there are many blogs doing the same. However, I have to say one important thing; this event has a theme annually, in other words, the guests must wear gala costumes. 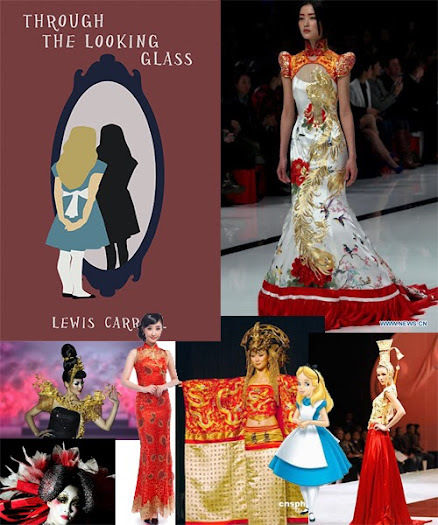 The theme of this year was “China: Through the Looking Glass”. Of course, it reminds me the Lewis Carroll’s book “Throught the Looking Glass” (the second part of the famous “Alice’s Adventures in Wonderland”(?)) mixed with Traditional China’s Fashion. After my research on the internet, I found some references about fashion in China. Let’s see the most commented outfits of last Monday? Of course, Lady Gaga is on the list. She is always so controversy because excesses, but this time she was more restrained, dressing a Balenciaga dress, that was designed by Alexander Wang. She also wore a super boot with a lot of glitter. However the blog Fashionista said Gaga was wrong, because kimono comes from Japan. Sure! Kimono is typical clothing from Japan. I agree with this without thinking, but for me, Gaga was wearing a typical outfit from China. I am putting some images of references here, so you can decide it with me. 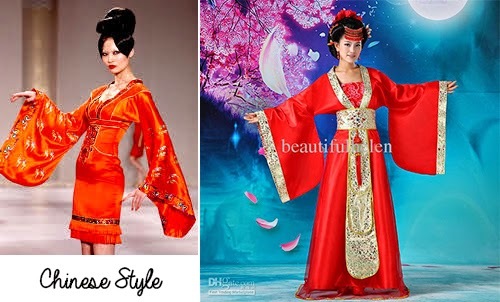 Theses dresses above are Chinese dresses called called qipao or cheongsam. I think Lady Gaga is closer to this. Below we have kimonos from Japan. 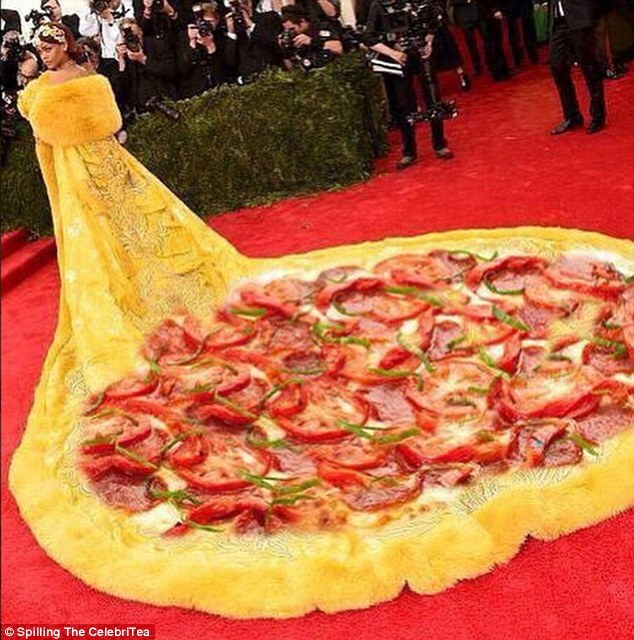 Many people have criticized Rihanna dress. What is the problem? I saw a lot of memes comparing it with egg, pizza or Sponge Bob. The dress was designed by Guo Pei. Is it out of the dress code? For me it was very clear, the theme was a mix between China and crazy wonderland! The photos above are of fashion shows in China, and Riri nailed it, you like it or not!. I have realized that fashion bloggers, journalists and the public in general have difficult to understand the dress code when the event is more playful! It is like a costume party, but more elegant! There is nothing complex to get it. Sarah Jéssica Parker was with a crown designed by Philip Treacy and a dress from vestido H&M developed to MET Ball. 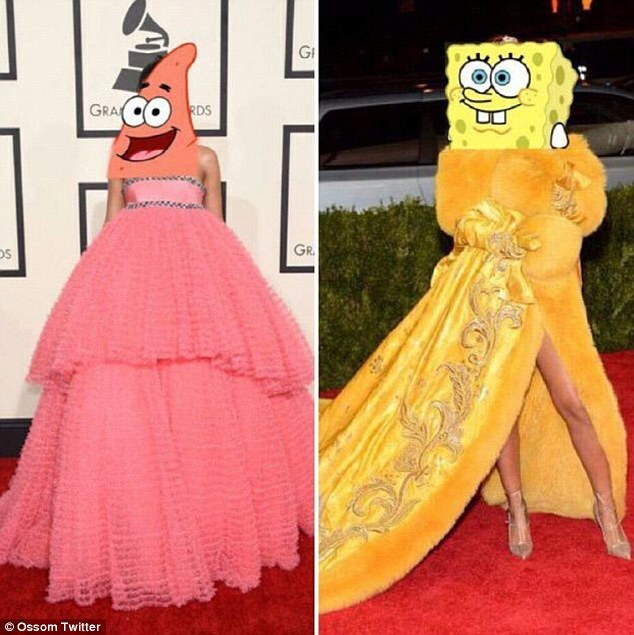 Rihanna and Sarah Jessica won the o trophy of the most ridiculous! 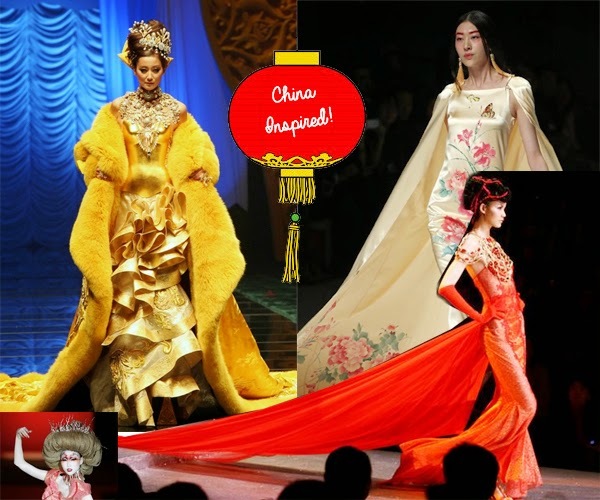 Jannifer Lopes had a Chinese dragon gown, she and Kim Kardashian and Beyonce were almost naked! The last two were outside of the theme. These girls are famous and I think they do not have to do it to appear. For me, this vulgarity is more about ego. Rita Ora withTom Ford. Irina Shayk wore Atelier Versace. Karolina Kurkova with Tommy Hilfiger.